FRISCO, Texas (June 2, 2017) - Former North Texas Soccer Olympic Development Program (ODP) and Dallas Texans player Abby Smith has received her first call-up to the U.S. Women’s National Team ahead of friendly matches against Sweden and Norway. North Texas Soccer sat down with the Boston Breakers goalkeeper to get her thoughts on her first call-up and to look back on her days playing North Texas Soccer. While Smith, who has played on multiple U.S. Youth National Teams, expressed her eagerness to represent the red, white and blue on the senior level, she was also quick to emphasize that while getting the call-up was certainly a goal, there is plenty more work to do. When looking back on her youth career, the North Texas State Cup and US Youth Soccer Southern Regional Premier League (SRPL) were the first competitions that came to mind. The former University of Texas keeper won a SRPL title and two State Cup titles with Dallas Texans 94. Smith, who is native of Plano, Texas, also won the 2009 US Youth Soccer Region III Championships with Dallas Texans and advanced to the finals of the 2009 US Youth Soccer National Championships. Smith also spent plenty of years in the North Texas and Region III ODP pools. 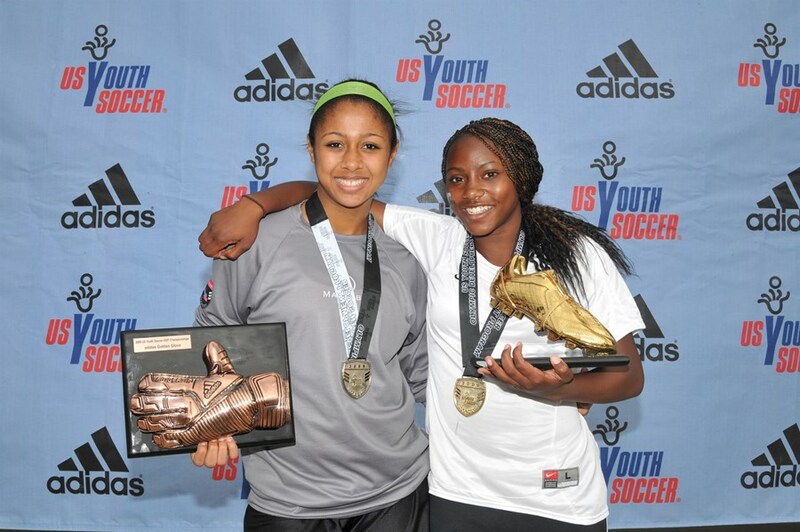 Smith represented North Texas at the 2009 US Youth Soccer ODP Championships, where her side reached the finals, and Smith was awarded the Golden Glove, given to the top goalkeeper in the age group. Whether it was quality of other players in trying to make the North Texas ODP team, or the quality of other teams playing in North Texas, Smith credits the competition of playing in North Texas as giving her an edge. Smith explains that playing in these competitions at a young age allowed her to prioritize and figure out what she wanted for her future. Smith adds that one of the best pieces of advice came from current Head Development Coach for the U.S. Youth Women’s National Teams April Kater, who stressed being patient and not getting too ahead of yourself. When it comes to giving her own advice to young players, Smith recommends giving more focus to the technical side of the game, as well as making sure you are playing a game that you love.